We are approximately 48 hours until kickoff….the media hype over the past two weeks has gotten all fans ready for what hopes to be a fantastic Superbowl game. Even people that are non football fans will tune in to watch the t.v commercials. Event Cancellation – something you wouldnt consider BUT snow in Dallas last year cancelled certain events planned throughout the area. Media Liability – exposures range from copyright issues, wardrobe malfunctions, sponsors, broadcasters and half-time shows. General Liabilty – The NFL’s biggest day and who knows what could go wrong. Corporate Liabilty – corporate leaders like to impress clients by wining and dining them at big events. What happens when there is an accident enroute or one favortie client steps out of bounds? Special Events – NFL Fan Experience which includes ziplining and pass/catch competitions. What happens when someone gets hurt? Prize Indemnity – some organizer offer prizes for contests or sweepstakes. They insure these contests so that if a someone wins the insurance carrier pays. Liquor Liability – Some fans in the stands or surronding bars might not be able to stand up by kickoff. Servers everywhere beware. Advertising Liability – a one minute ad during the Super Bowl can cost more than 3 million. All those big spending advertisers need to protect their investment. Terrorism Coverage – we don’t like to think about it but high profile events can be targets. 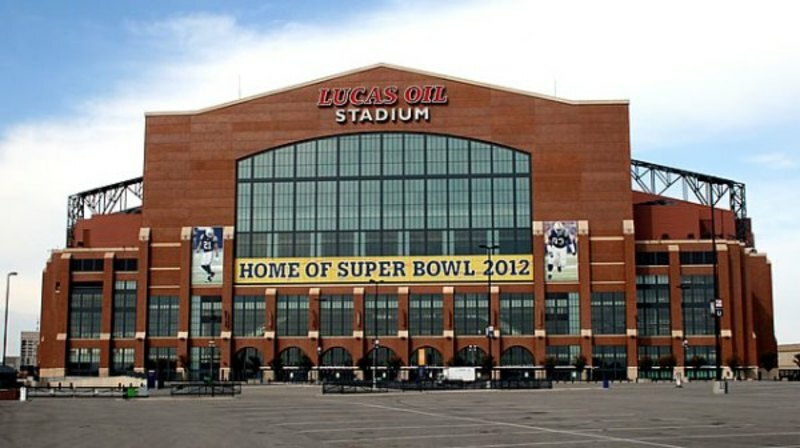 Directors and Officers – this year’s committee is from Lucus Oil Stadium in Indianapolis. We hope everyone enjoys the Superbowl this years..let’s hope for a safe weekend. Well according to Punxsutawney Phil we are in store for six more weeks of winter. Although we have been on the mild side this winter there probably will be some snow falling in February and March. For all of those snowplowers out there eager to make some money let’s review as to how snowplowing affects your MA Auto Insurance. I have a Personal Auto Policy for my light truck and I would like to plow, do I now need a commercial automobile policy? Not necessarily. A snow plow does not disqualify a vehicle from a Personal Auto Policy even if the Insured is paid for snowplowing. A lot would depend if the vehicle is being used for any additional business operations. We would recommend contacting your agent and have them amend your policy to include a class 30 business rating and assess your business operations to see if a Commercial Auto Policy would be a better policy choice. I plow for the Town and Businesses that require to be listed on my policy as additional insureds. Do I need a Commercial Auto Policy? Yes. Regardless of the type of vehicle you are using to snowplow, additional insured’s can not be added to a personal automobile policy. I have a Commercial Automobile Policy would the policy cover me if someone slips and falls at a residence or business that I have plowed? NO. 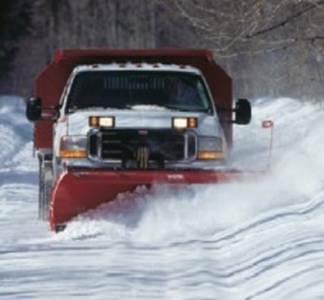 The commerical automobile policy only covers damages caused by your vehicle while plowing. For example you cause damage to a residence fence while plowing. The commercial automobile policy does not give you completed operations coverage. You would need to obtain a business or general liability policy to extend coverage for this exposure. Is my snow plow covered for physical damage or theft? Only if the vehicle that the snowplow is attached to carries physical damage coverage. If you add a plow to a vehicle it is important to contact your agent so that they can adjust the value of vehicle to reflect the plow. Happy Thanksgiving to all our friends and customers. 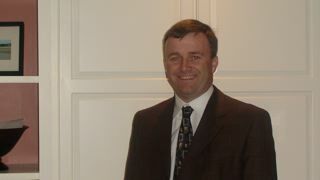 We would like to thank you for allowing us to service your insurance needs. Thanksgiving is a time to be thankful for what we have and realize that we are all very fortunate. BUCKLE UP! Seatbelts save lives. All of us here at Kerrigan, O’Malley & Bailey would like to wish everyone a safe and happy Thanksgiving. You’ve just loaded your grocery bags into your car in the parking lot at Hannafords. You’ve still got to pick up your kids from baseball practice. Time is running short. As you’re backing out of your parking space, a car slams into the side of your car. You’ve just been the victim of a parking-lot accident. 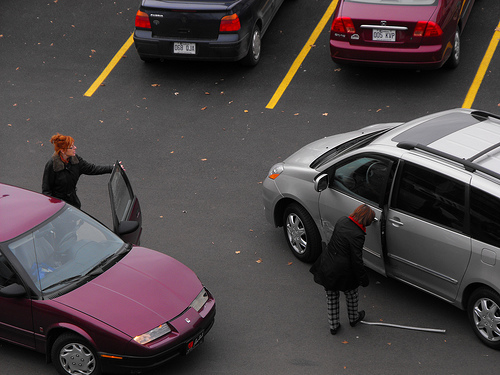 About one-fifth of all auto accidents happen in parking lots. Parking-lot accidents typically occur at slow speeds and don’t usually result in serious damage, but they still can raise your Massachusetts auto insurance rates — and can raise plenty of questions. How do you determine who’s at fault? Should you file a claim if no one was injured? If it’s a minor ding, can you simply pay the other driver for damages without filing an insurance claim? Even if there appears to be no damage to both cars and you’re both uninjured, always call the police and file a police report. About 20 percent of auto accidents happen in parking lots. Notifying police about the accident shifts your liability to the insurance company if an issue comes up later about damages or injuries, according to Marshburn. When a parking-lot accident first occurs, never admit it was your fault and don’t argue over who was at fault, says Nancy Germond, an insurance expert from Phoenix. “It’s not productive and can get out of hand. Just exchange names, addresses, phone numbers and insurance information, and let your insurance company work it out,” Germond says. “Simply say, ‘My adjuster will contact you.’” Then call your auto insurance agent or your insurance company’s toll-free number. Look around for witnesses to the accident and ask whether they’d be willing to furnish a name or contact number. “Witnesses can testify to the location of the vehicles,” Germond says. Witnesses are most valuable in a hit-and-run. If you’re lucky, a Good Samaritan will show up and leave the culprit’s license plate number on your windshield, Ross says. “In this case, you won’t have to pay your deductible and your insurance company will be reimbursed through the at-fault driver,” he says. Unfortunately, if the other person gets away, you must pay the deductible to get your car fixed. Don’t move the vehicles until you take pictures. Photograph the skid marks, if any, along with broken glass or other debris. If you’re at fault, you’ll pay your deductible and you’ll be assigned points, which causes your insurance rates to increase, Ross says. “Your rate will only go up if the accident is determined to be your fault and the damage exceeds $500, although this may vary from state to state,” he says. Determining the at-fault party is easy in some cases. “You’re at fault if you’re the person entering the flow of traffic — for example, backing up into traffic from a parking space or a driveway,” Ross says. • Pull into a parking spot where you don’t have to back up but can instead pull forward into the lane of travel. • Buy a car with a backup sensor or backup camera to alert you to objects or people behind you. If your car doesn’t come with a backup sensor or camera, consider buying one. • Before you buy a car, test it extensively for blind spots, as some cars have bigger blind spots than others, making it difficult to see behind you. • When you’re looking at buying a car, rent it for a week first to see how it handles and whether the blind spots cause problems. • Watch for wind gusts when opening your car door, as they can catch the door, which can hit a car next to you in a parking lot. • If possible, avoid parking lots at shopping centers and stores on super-busy Saturdays. Snow is October?? Answers to your claim questions. Well that was a week most of us won’t forget! Power outages, trees on cars, a foot of snow, and it is only October. I hope everyone has gotten there power back and can now enjoy the weekend ahead. In wake of the Nor’easter that came this past weekend and all the damage that was caused I wanted to use this blog to answer some of the questions that we have been getting this week in our office. Hopefully this will help everyone better understand how their Massachusetts homeowners insurance policy will respond to damages. 1. Will my homeowner policy pay to remove the trees that have fallen in my yard? The standard Massachusetts homeowner insurance policy provides $500 of tree removal coverage for damage due to a covered peril. Such covered perils include damage caused by a windstorm and/or weight of ice and snow, provided the tree(s) damages a covered structure such as your house, garage, shed or fence. The $500 is the amount paid for any one occurrence, regardless of the number of trees. A few companies do offer a small amount of additional coverage when you purchase their own company specific endorsements. It does vary by insurance company, but we have seen up to $500 additional offered by some. 2. Are my Trees, Shrubs and landscaping plants covered? 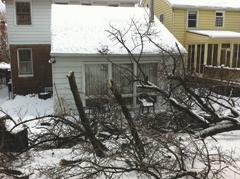 No coverage is available for damage to trees/shrubs/lawns/plants caused by the peril of weight of ice and snow or wind. 3. We have no power and as a result we have no heat. Will my homeonwer policy pay for me to stay in a hotel? When we talk about power failure, we must first establish the cause and location of the power outage. Failure of power or other utility service that takes place off the resident premises is excluded under the standard Massachusetts homeowner insurance policy. If your area is experiencing a power outage but you have no damage to your home, then coverage is not available for additional living expenses. If the power outage is on premises – say the electrical wires were torn from your home from a falling tree, then coverage for additional living expenses would be available for a reasonable length of time in order to restore the electricity. This scenario would fall under the additional living expense coverage. 4. All the food in my refrigerator and freezer is no good because of the power outage. Is there coverage? Under a standard Massachusetts homeowner insurance policy, no coverage is available for food spoilage as a result of power failure. However, many Massachusetts insurance companies offer a small amount of coverage, usually $500, through their own company specific endorsements. It varies by insurance carrier. Many only provide food spoilage coverage if the outage occurred on premises. Whether or your deductible applies, and the amount, will vary by company. We hope this helps in answering some of the common questions relative to the damage that most of us are seeing in the area. Give our office a call to further clarify any questions you may have relative to your specific homeowner policy. Let’s all hope for a much calmer weekend ahead. Thanks again for allowing our office to service your insurance needs. Tis’ the season to be grilling as the heat gets turned up a notch and the air conditioner works its magic in your home. BBQ-ers around the country are gearing up to fire up the grill, but before you throw on the steaks reading over some helpful guidelines will help you to avoid homeowner’s claims this summer. Dress the part- by wearing aprons and grilling gloves you avoid the risk of burning yourself. 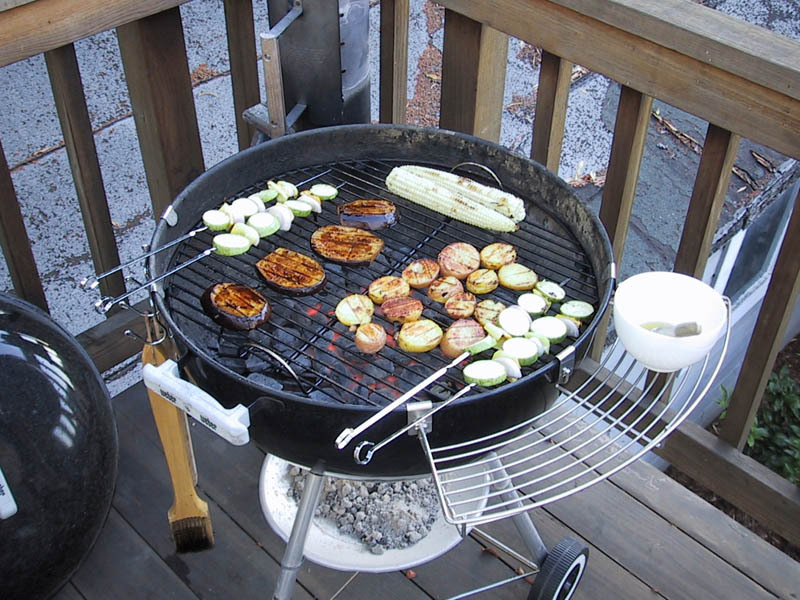 Keep your distance- Grills, fryers and smokers should be kept at a safe distance from homes, garages and children. Also keep your grill equipment in a safe and designated location when not being used to prevent accidents or tampering. Gas tanks- make sure that the cylinder for your gas is always stored outside and away from your home. Ensure that the valves are thoroughly turned off when not in use and check regularly for leaks to prevent gas from escaping. Make sure you have some type of fire extinguisher near by in the event the grill were to catch on fire. Let it be- When you are done using your grill it takes a while for it to fully cool down. Make the grill a designated caution zone so that others know to be careful around it when it is heating up and cooling down.